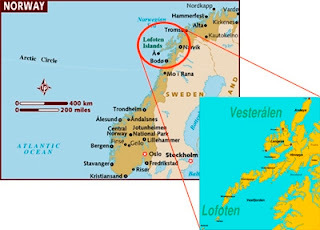 While I am back in Spain, but off to explore some new territory I'll take you to the Lofoten islands in the north of Norway. Lofoten must seriously be one of the places I’ve been that has surprised me the most. I expected it to be beautiful, but was quite relaxed about it. It knocked me off my feet! In the summer, you can experience the midnight sun, and for those who don’t know what that’s about I’ll just give you a quick introduction. What’s there to see in Lofoten? Nature, nature, nature. And stockfish drying up, some museums and art galleries. The best I believe to to rent a car and just drive. Most of the Lofoten islands are connected by bridges and it’s so peaceful everywhere. Little people, fresh air, silence, beauty. These beaches are inside the Arctic Circle. In other words, the water is quite cold! But that didn't stop some foreign tourists from testing the pure clean waters to be able to say "I swam in the Arctic Circle!" Lofoten is famous for the stockfish production and the beautiful nature. I think this is a destination that safely can be put on any "must-see-travel-list"! 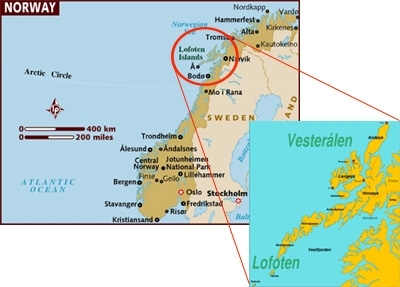 Ever been to Lofoten or heard of it? Wow, I have seen a documentary about the Lofoten once and it is such a beautiful and breath-taking place. I would love to travel there someday. I am sure it would be cool to wake up at 2 am and it isn't dark. :) Thanks for the beautiful pictures! Wow, you have seen a documentary about Lofoten?! :) The sun all around the clock is incredibly energizing! that's so cool! I want to see 24 hours of sunlight! Gotta add this to my bucket list! 24 hours of sunlights is pretty cool! Very energizing! This is breathtaking! I don't know how I would do with 24 hours of sunlight. I think it might weird me about a it but really neat to experience! I hear most foreigners think it's hard to get used to all the light in summer, but I personally love it. You just don't get as tired when the sun is still shining at 1 am! I have not heard of the particular place, but I have heard of the midnight sun in the Arctic region and think it would be cool to see in person. 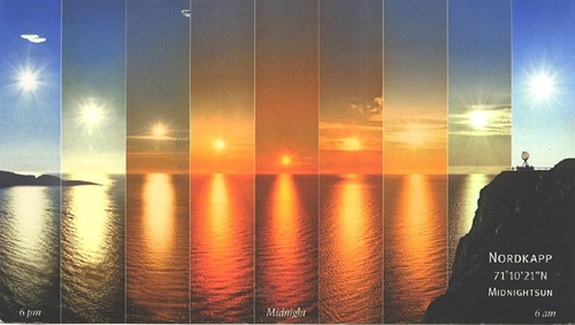 I was surprised at how wonderful I thought the midnight sun was. I thought "it's something that's just always been there", (=nothing special) and where I come from it's just dark about 2 hours during the night so it's not that big a difference. 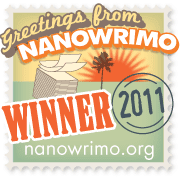 But I LOVED the midnight sun, it was incredibly energizing!